10 Ways To Get More Customers With SEO Right Now! SEO is the technique of getting your website found in these search engines. All search engines have something called the search engine results page, Or SERPS for short. This is where a bunch of competing websites are listed in order of relevance to what the user is searching for. The higher up in the SERPS the more traffic that your website will receive for that keyword. The lower your positioning the lower the amount of traffic that your website will receive. SEO is the process of making sure that your website is visible when a user searches for something related to your company. When done correctly SEO can improve your website traffic and ultimately sales. 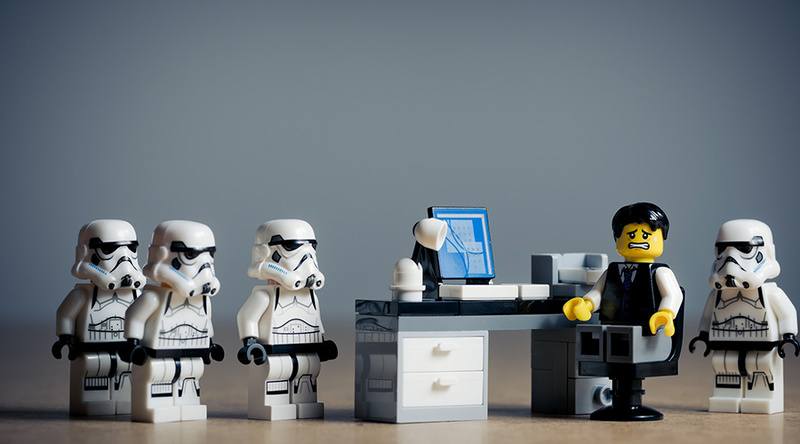 It is important however to realise that SEO is a slow process. It can take months to see an impact, but the end result is worth it. An example of this can be seen with our own website. A search term that we have been trying to rank for has taken us 8 months to do so. That keyword gets over 400 searches a month, and each click on our site according to the Google keyword planner is worth £6 a click. Therefor that one keyword would cost us £6 x 400 = £2400 each month if we were to pay for advertising. £2400 each month is a lot to pay out on advertising for some small businesses. Our SEO services however wouldn’t have cost anywhere near this figure, so you can see the power of SEO and it’s potential ROI. If you are a small business owner and you have a website but it doesn’t bring you any leads then your SEO could be the problem. If you would like to talk to us about our SEO services then contact us here. Otherwise if you fancy having a go of it yourself then here are 10 SEO tips that you can implement right now to get more traffic to your website. Your page title plays a massive part in your SEO rankings. It also effects the click through rate (people that click on your link on the search engines). Therefor it is really important. To optimise your title you should include the main keyword that you want that page to rank for. You should also aim to keep the title length under 60 characters long. If you go over it won’t be the end of the world and the sky wont fall but it will be cut off and your click through percentage will go down. Some SEO experts also recommend having your main keyword at the beginning of the title as it has more power there. In testing this theory we have seen a small difference in ranking. 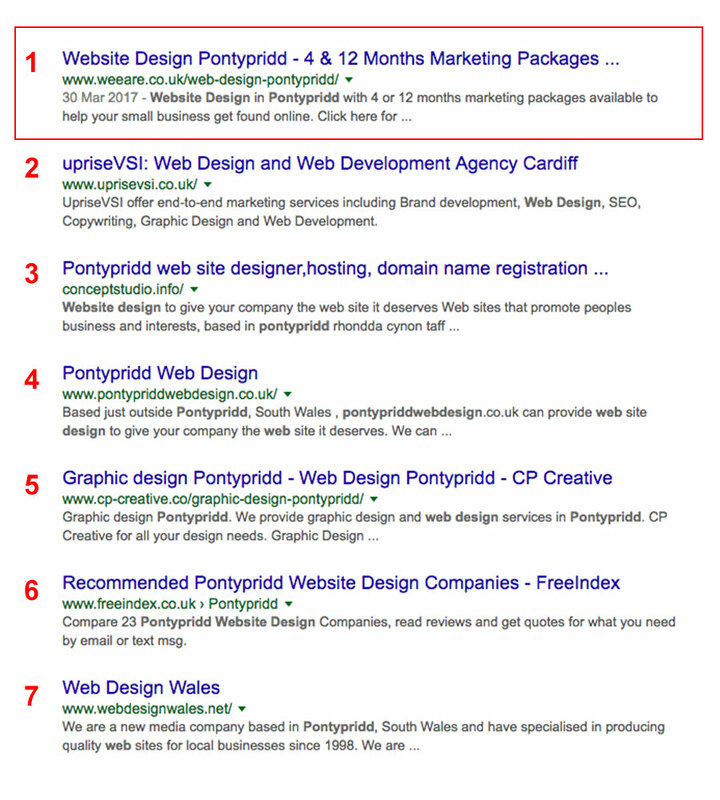 If you can make your keyword fit, for example “SEO Cardiff | affordable SEO in Cardiff” makes sense to the user. Title tags to avoid would be along the lines of “MyCompanyName” or “Homepage” chances are your visitors don’t care about your business to search for you as they don’t know you exist. 2) heading tags should be optimised. If your using a content management system like WordPress then this is an easy fix to add to your web pages or posts. In WordPress you can turn text into headings by highlighting the text and then clicking on the content editor and selecting heading 2. This will turn that into a heading two title which notes that this heading is important. H1 is the most important but there shouldn’t be more than 1 h1 heading on a page. So put your most important keyword in an H1 tag. As mentioned above the heading tags are ordered by what is most important. H1 being the most, H6 being the least important. When we develop websites we develop our sites to include the page title within the H1 tag. That means that the most important keyword is put inside the page URL and H1 tag by default. This makes your life easier because you don’t have to many ally put it the H1 in with every post. If you are not using heading tags in your website or website posts go back and add them. You will be surprised how much they effect your keyword rankings. It is often said write for people and not search engines. I’m calling this bull right now. You won’t get no readers if your post isn’t found by the search engines. Keyword density is the amount of times you mention the keyword in which your trying to rank for. Many years ago, black hat SEO’rs would do a technique called keyword stuffing where they would put tonnes of the keyword into a page and hide the text, this would then cause the main search engines to rank them highly. Thankfully the search engines caught on and this no longer helps rank websites. If you want to know what your keyword density of any post is I highly recommend downloading and installing the Yoast SEO tool. Only something we have started doing recently is optimising our images for search terms. We have already seen a small increase in search rankings. There are a few ways in which you can optimise your images. You can also optimise your images by giving it a title and alt tag. Make sure to include your keywords in both of these and it will help your visitors and search engines know what the page on your site is all about. Videos are a great way to keep your users on your website for longer. The longer a visitor stays on your website the better as it shows that your website is relevant to the term the user was searching for. You can however optimise your videos even further to give your site a boost in search rankings. A great way to do this is to add your keywords into the the title tags and description. You may notice that we blog quite a bit on Weeare. The reason for this is that the more content we have on the website the more chance potential customers are going to find us and hire us to build them a website. More content also means that we have a chance of ranking for more search queries. Websites that don’t blog are missing out on a tonne of traffic. If you want to rank well in the search engines I highly recommend adding a blog to your website. You don’t have to blog everyday either. Find a frequency you can stick to and keep at it. For us we only post once a week, any more would kill us as we would be too busy working on our clients sites. By submitting your website sitemap to Google you are telling them what pages exist on your website. By doing so the Google bot knows to include these pages in their search engine rankings. Submitting your pages to Google probably wont increase your search engine rankings, but it will allow pages that have been missed to rank. It doesn’t take long so I would recommend doing it. Your website speed can increase your search position. One way to increase your website speed right now is to leverage caching. A good tool to use to cache your website is W3Total cache. But be warned it doesn’t help on all websites and can even break your website. Link building is still the best way to increase your search engine rankings. Contact other websites who relate to you and ask them could you write a blog on their site and then get them to link back to you. Relevant links from relevant businesses and websites can help you shoot up the search rankings page. Non relevant links on the other hand can damage your search rankings. A great way to also get links is to find other blogs in your industry and comment on their posts, leaving a link back to your site in the process. But don’t be spammy, no one likes spam. Above we gave you 10 SEO tips that you can implement right now to improve your search engine positioning. Our final piece of advice would be to have patience. SEO can take months of hard work to get positive results for your business. If you don’t have time to carry out the above tips or want a helping hand please talk to us. We have helped many small businesses like yourselves get found online. Talk to us today if you wan’t to outrank your competition.